Tears for Fears are most closely associated with the '80s, but the British new wave band are staying relevant. Not only do they have a new album in the works, but they just covered a (relatively) contemporary song: "My Girls" by Animal Collective. Their cover is more electronic and beat-driven than the original tune. It begins with oddball electronics and robotic voices, but an arpeggiator enters and turns it into a more straightforward cover. It's accompanied by a freaky computer animated video by Vinyl Williams. The band wrote on their website, "We'd like to officially announce that we are writing and recording new original material to be released in 2014!" 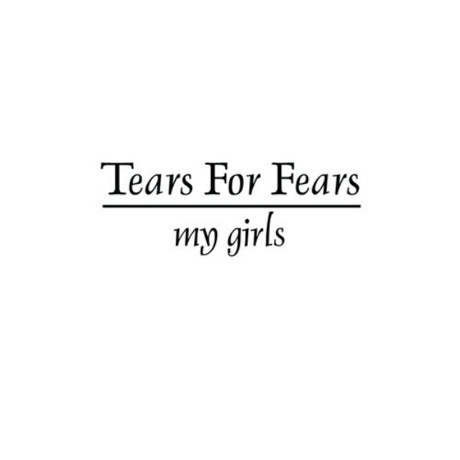 Additionally, Matthew Dear and Tegan and Sara have shared an officially endorsed cover of Tears for Fears' early single "Pale Shelter." Scroll past "My Girls" to listen.